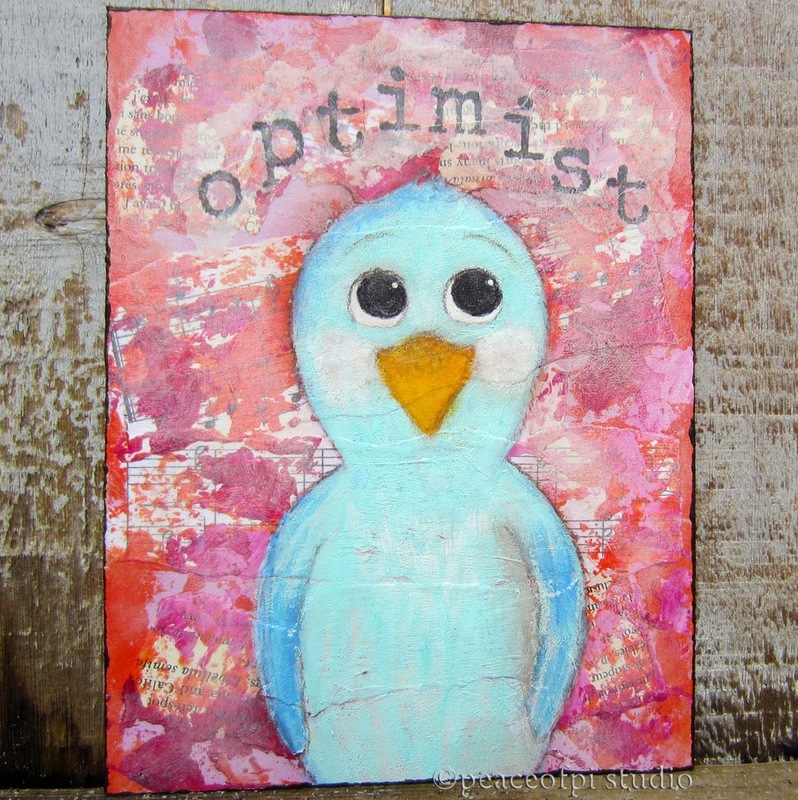 Optimist Bird is a mixed media painting, part of a little bird told me series. The blue bird is painted on a colorful orange and pink background of torn vintage book pages and music. With his happy face and glowing cheeks, this bird is an incurable optimist, looking on the bright side and expecting goodness.